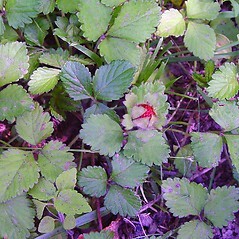 Indian-strawberry is introduced in New England, where it has been collected only in Connecticut, where it reaches the northern edge of its range; it hails originally from India. 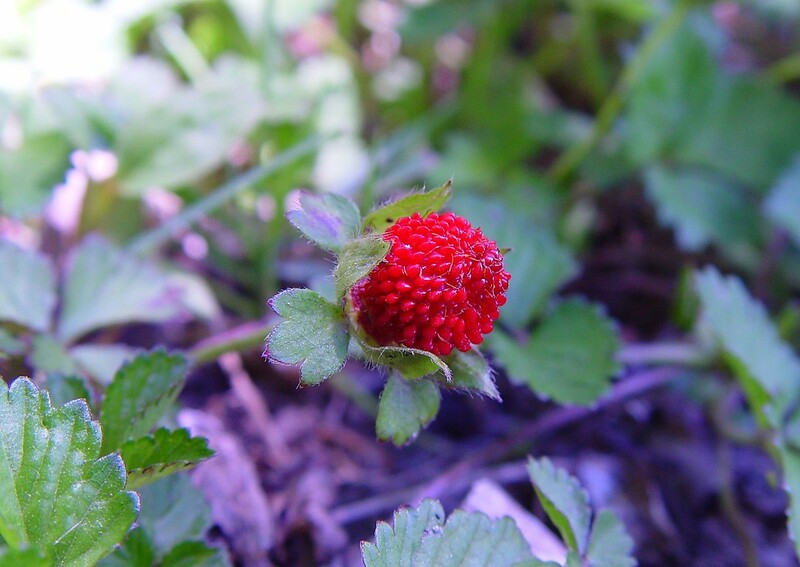 This plant produces unusual red fruits that resemble strawberries but are not as yummy. 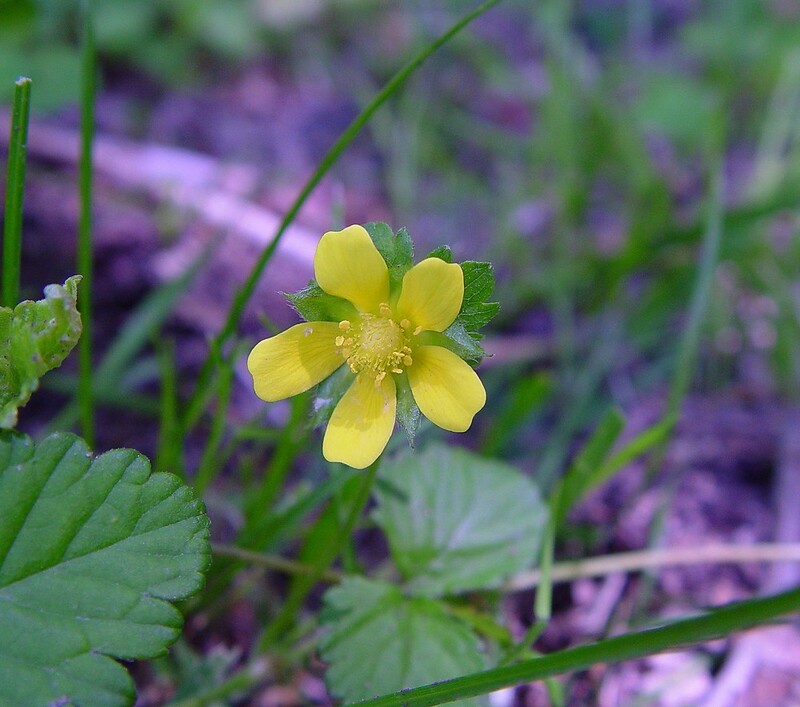 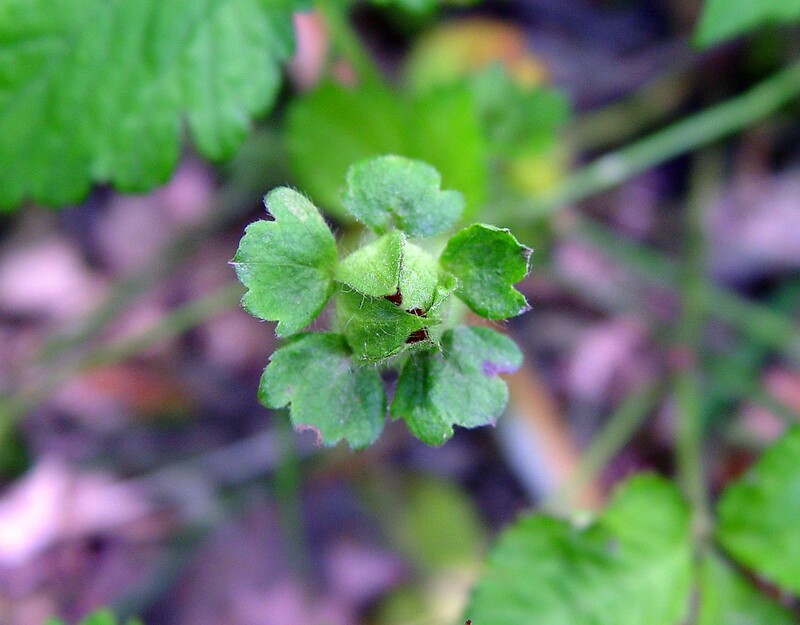 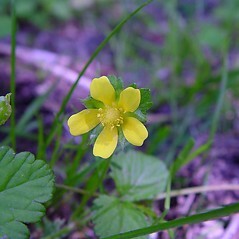 In fact, the species was once classified under the genus of strawberry, Fragaria, but its yellow flowers give it away. 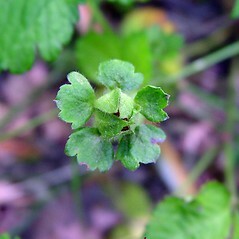 bractlets of +/- of similar size as the sepals, lacking conspicuous apical teeth, receptacle enlarged in fruit and sweet-tasting petals white to pink (vs. P. indica, with bractlets definitely larger than the sepals, with 3 conspicuous teeth at the apex, receptacle enlarged in fruit but rather dry and insipid tasting, and petals yellow). 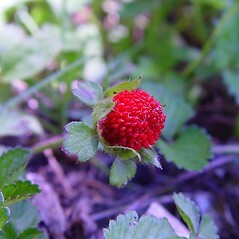 Indian-strawberry. 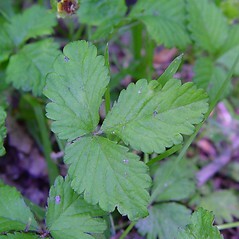 Duchesnea indica (Andr.) 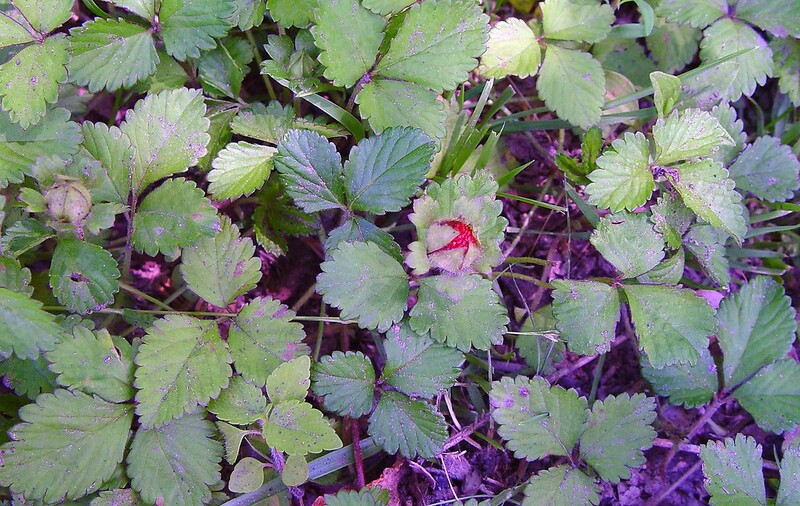 Focke; Fragaria indica Andr. 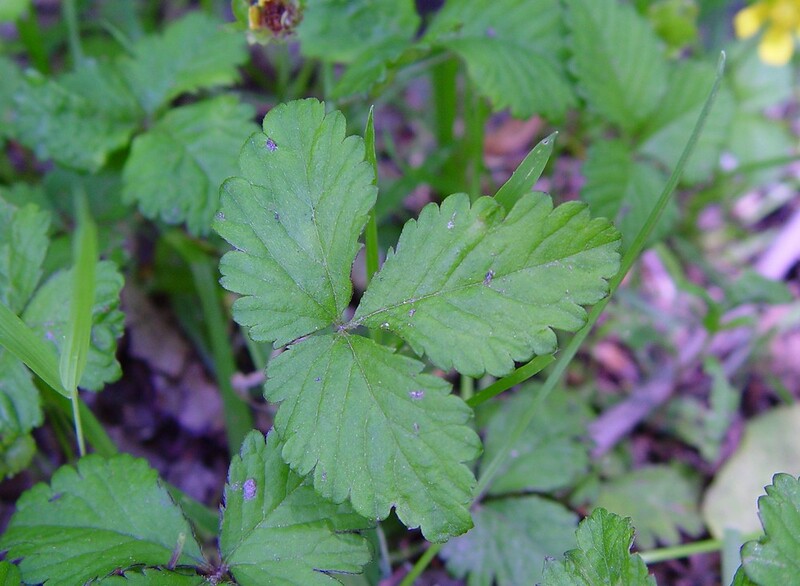 • CT. Lawns, clearings, forest borders, waste areas.